2 Round to the nearest ten. 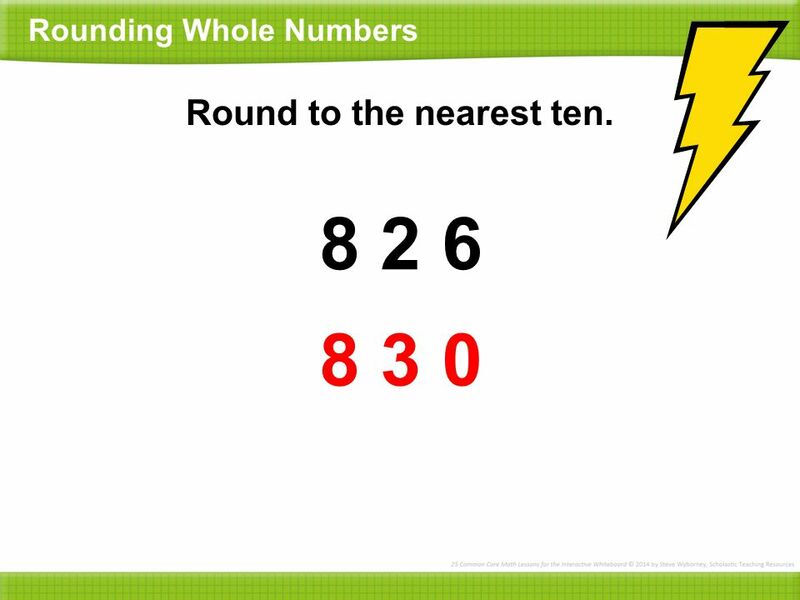 Rounding Whole Numbers Round to the nearest ten. 6 3 6 0 Here is 63. Let’s round to the nearest ten. Which digit is in the tens place? 6 How many tens are in this number? The digit to the right is a 3. Should we round up or down? Down. We round up only when this number is 5 or more. So, 63 is nearer to 6 tens ... … or 60. So, 63 is nearer to 6 tens ... … or 60. Down. We round up only when this number is 5 or more. 6 Let’s round to the nearest ten. Here is 63. Which digit is in the tens place? How many tens are in this number? 6 The digit to the right is a 3. Should we round up or down? 3 Round to the nearest ten. 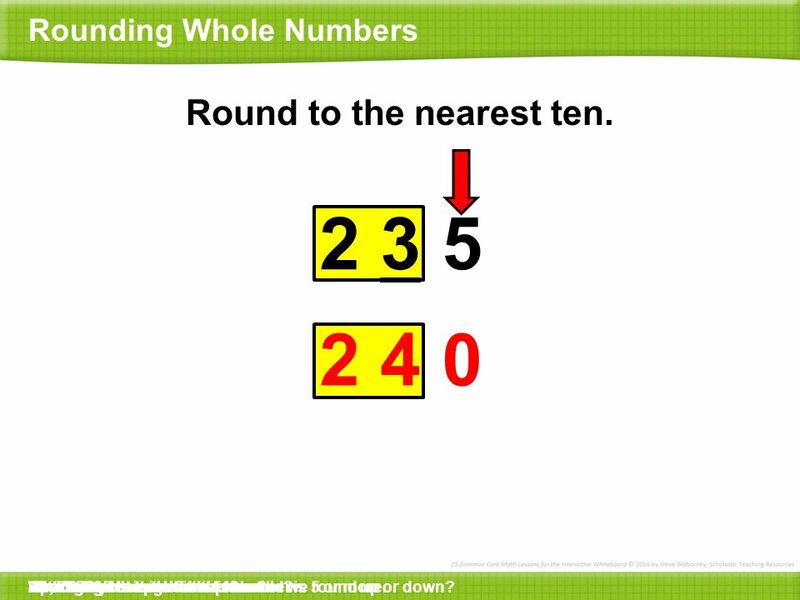 Rounding Whole Numbers Round to the nearest ten. 7 8 8 0 Here is 78. Let’s round to the nearest ten. Which digit is in the tens place? 7 How many tens are in this number? The digit to the right is an 8. Should we round up or down? Up. We round up when this number is 5 or more. So, 78 is nearer to 8 tens … … or 80. So, 78 is nearer to 8 tens … … or 80. Up. We round up when this number is 5 or more. 7 Let’s round to the nearest ten. Here is 78. Which digit is in the tens place? How many tens are in this number? 7 The digit to the right is an 8. Should we round up or down? 4 Round to the nearest ten. 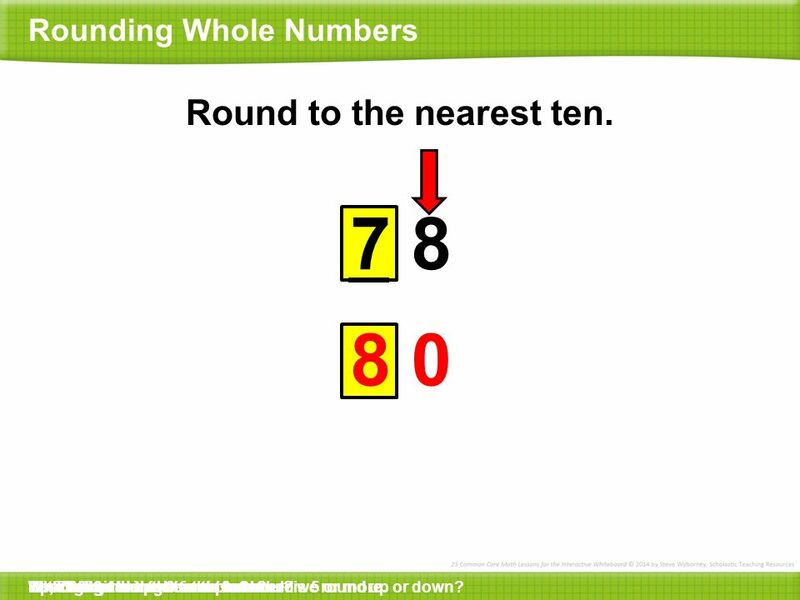 Rounding Whole Numbers Round to the nearest ten. 2 3 5 2 4 0 Here is 235. Let’s round to the nearest ten. Which digit is in the tens place? 3 How many tens are in this number? 23 The digit to the right is a 5. Should we round up or down? Up. We round up when this number is 5 or more. So, 235 is nearer to 24 tens … … or 240. So, 235 is nearer to 24 tens … … or 240. Up. We round up when this number is 5 or more. 3 Let’s round to the nearest ten. Here is 235. Which digit is in the tens place? How many tens are in this number? 23 The digit to the right is a 5. Should we round up or down? 5 Round to the nearest ten. Rounding Whole Numbers Round to the nearest ten. 1 8 2 1 8 0 Here is 182. Let’s round to the nearest ten. Which digit is in the tens place? 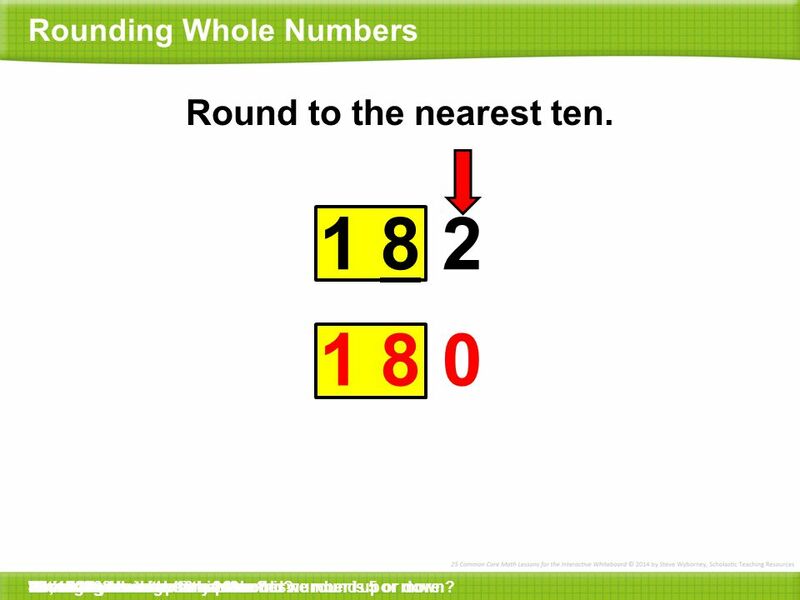 8 How many tens are in this number? 18 The digit to the right is a 2. Should we round up or down? Down. We round up only when this number is 5 or more. So, 182 is nearer to 18 tens … … or 180. So, 182 is nearer to 18 tens … … or 180. Down. We round up only when this number is 5 or more. 8 Let’s round to the nearest ten. Here is 182. Which digit is in the tens place? How many tens are in this number? 18 The digit to the right is a 2. Should we round up or down? 6 Round to the nearest hundred. 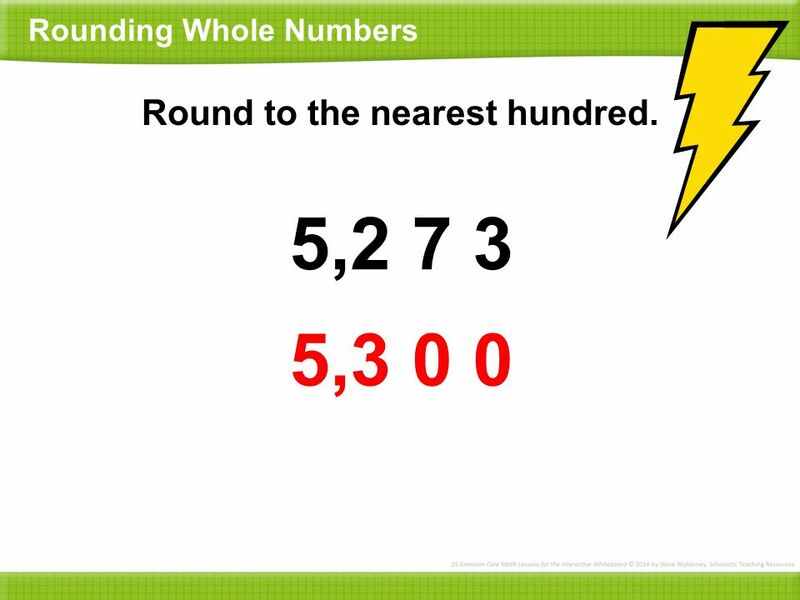 Rounding Whole Numbers Round to the nearest hundred. 5 9 8 6 0 0 Here is 598. Let’s round to the nearest hundred. 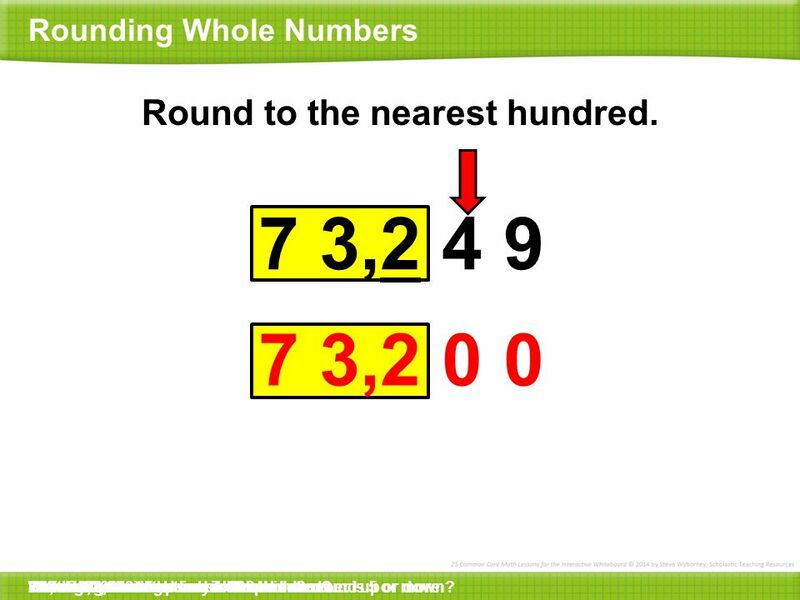 Which digit is in the hundreds place? 5 How many hundreds are in this number? The digit to the right is a 9. Should we round up or down? Up. We round up when this number is 5 or more. So, 598 is nearer to 6 hundreds … … or 600. So, 598 is nearer to 6 hundreds … … or 600. Up. We round up when this number is 5 or more. 5 Let’s round to the nearest hundred. Here is 598. 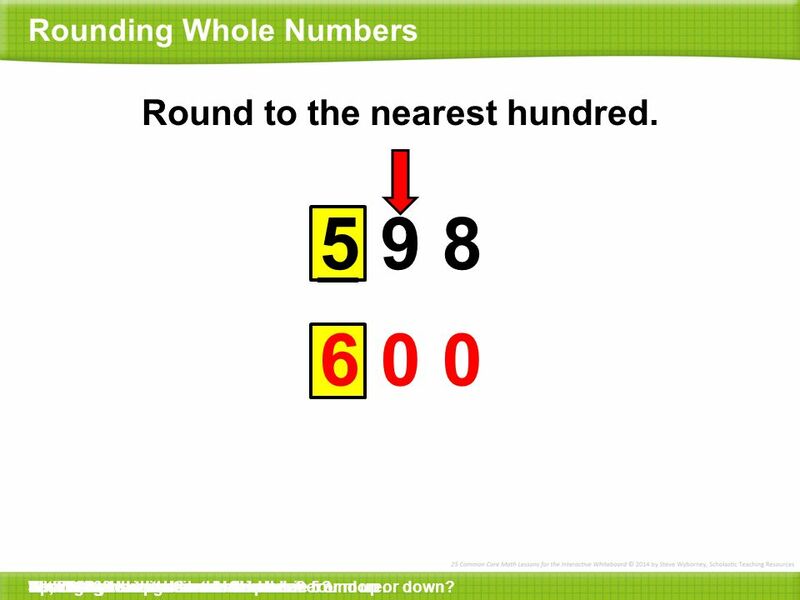 Which digit is in the hundreds place? How many hundreds are in this number? 5 The digit to the right is a 9. Should we round up or down? 7 Round to the nearest hundred. 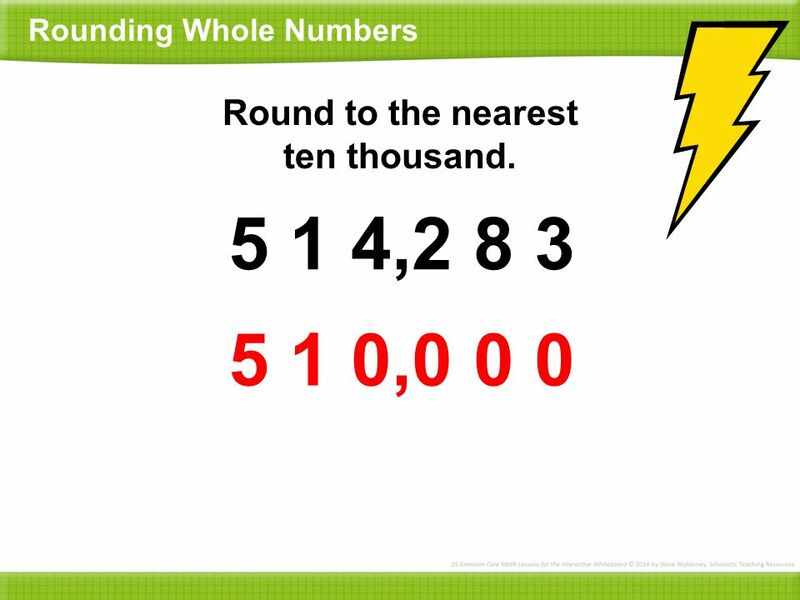 Rounding Whole Numbers Round to the nearest hundred. 6,4 8 7 6,5 0 0 Here is 6,487. Let’s round to the nearest hundred. Which digit is in the hundreds place? 4 How many hundreds are in this number? 64 The digit to the right is an 8. Should we round up or down? Up. We round up when this number is 5 or more. So, the nearest hundred is 65 hundreds … … or 6,500. So, the nearest hundred is 65 hundreds … … or 6,500. The digit to the right is an 8. Should we round up or down? 4 Let’s round to the nearest hundred. Here is 6,487. 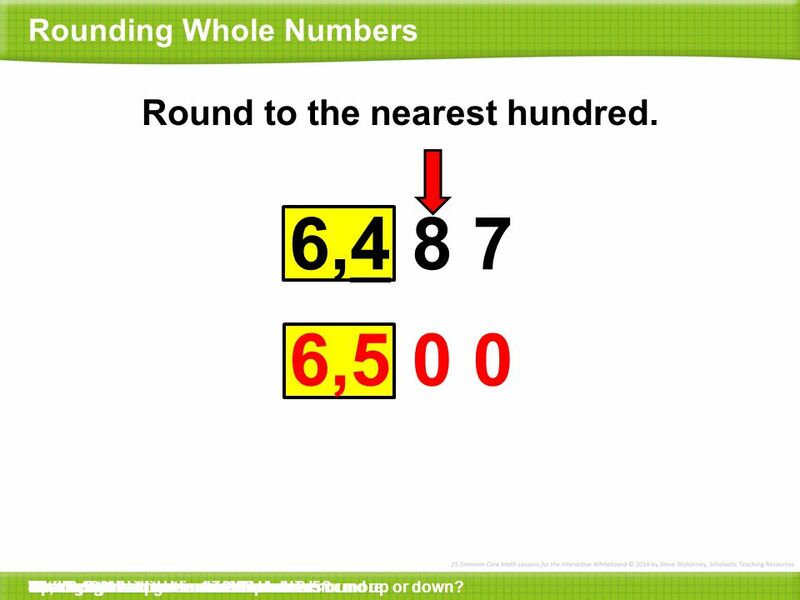 Which digit is in the hundreds place? How many hundreds are in this number? 64 Up. We round up when this number is 5 or more. 8 Round to the nearest hundred. 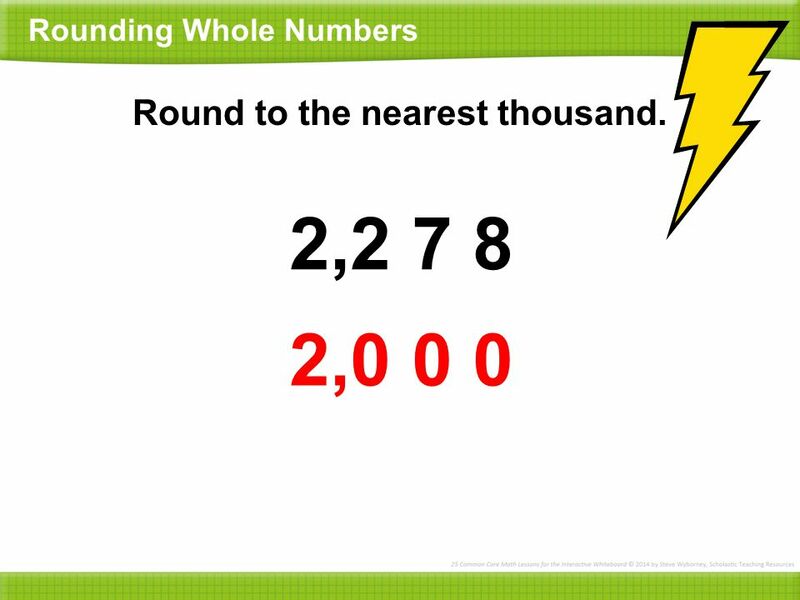 Rounding Whole Numbers Round to the nearest hundred. 7 3,2 4 9 7 3,2 0 0 Here is 73,249. Let’s round to the nearest hundred. 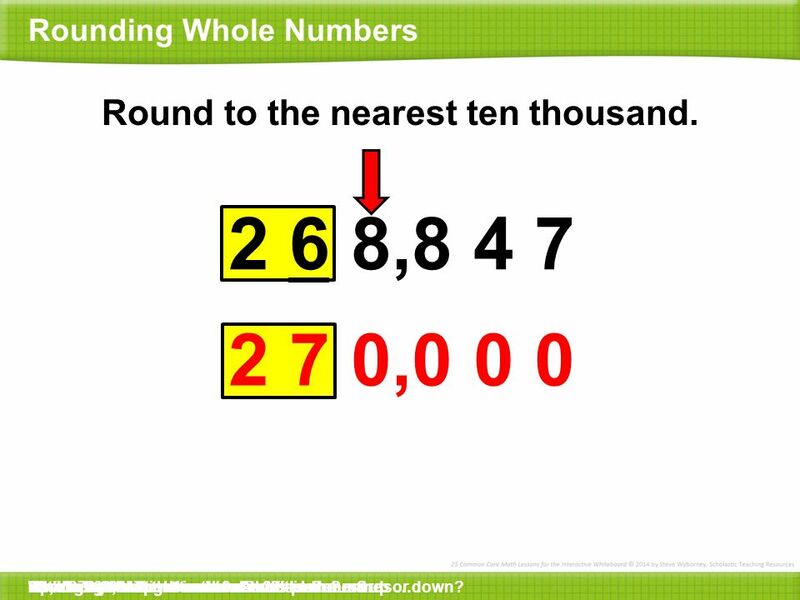 Which digit is in the hundreds place? 2 How many hundreds are in this number? 732 The digit to the right is a 4. Should we round up or down? Down. We round up only when this number is 5 or more. So, the nearest hundred is 732 hundreds … … or 73,200. So, the nearest hundred is 732 hundreds … … or 73,200. Down. We round up only when this number is 5 or more. 2 Let’s round to the nearest hundred. Here is 73,249. 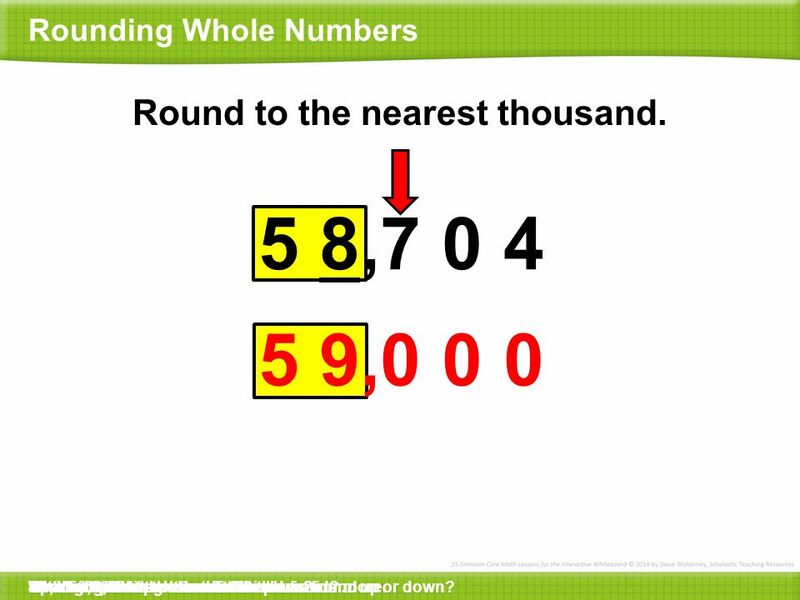 Which digit is in the hundreds place? How many hundreds are in this number? 732 The digit to the right is a 4. Should we round up or down? 9 Round to the nearest thousand. Rounding Whole Numbers Round to the nearest thousand. 5 8,7 0 4 5 9,0 0 0 Here is 58,704. Let’s round to the nearest thousand. Which digit is in the thousands place? 8 How many thousands are in this number? 58 The digit to the right is a 7. Should we round up or down? Up. We round up when this number is 5 or more. So, the nearest thousand is 59 thousands … … or 59,000. So, the nearest thousand is 59 thousands … … or 59,000. Up. We round up when this number is 5 or more. 8 Let’s round to the nearest thousand. Here is 58,704. Which digit is in the thousands place? How many thousands are in this number? 58 The digit to the right is a 7. Should we round up or down? 10 Round to the nearest ten thousand. Rounding Whole Numbers Round to the nearest ten thousand. 2 6 8,8 4 7 2 7 0,0 0 0 Here is 268,847. Let’s round to the nearest ten thousand. Which digit is in the ten thousands place? 6 How many ten thousands are in this number? 26 The digit to the right is an 8. Should we round up or down? Up. We round up when this number is 5 or more. So, the nearest ten thousand is 27 ten thousands … … or 270,000. So, the nearest ten thousand is 27 ten thousands … … or 270,000. Up. We round up when this number is 5 or more. 6 Let’s round to the nearest ten thousand. Here is 268,847. Which digit is in the ten thousands place? How many ten thousands are in this number? 26 The digit to the right is an 8. Should we round up or down? 12 Round to the nearest ten. 13 Round to the nearest hundred. 14 Round to the nearest thousand. 15 5 1 4,2 8 3 5 1 0,0 0 0 Round to the nearest ten thousand. 17 Round to the nearest ten. 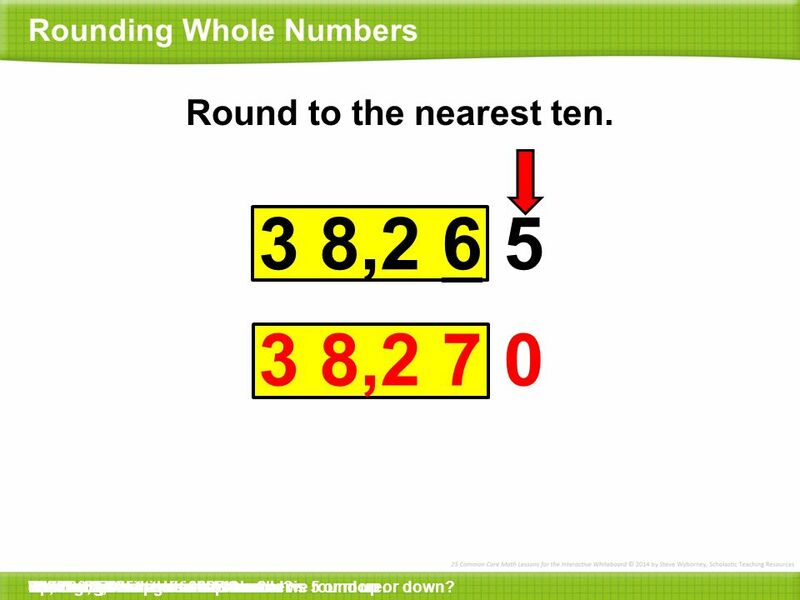 Rounding Whole Numbers Round to the nearest ten. 3 8,2 6 5 3 8,2 7 0 Here is 38,265. Let’s round to the nearest ten. Which digit is in the tens place? 6 How many tens are in this number? 3826 The digit to the right is a 5. Should we round up or down? Up. We round up when this number is 5 or more. So, the nearest ten is 3827 tens … … or 38,270. So, the nearest ten is 3827 tens … … or 38,270. Up. We round up when this number is 5 or more. 6 Let’s round to the nearest ten. Here is 38,265. Which digit is in the tens place? How many tens are in this number? 3826 The digit to the right is a 5. Should we round up or down? 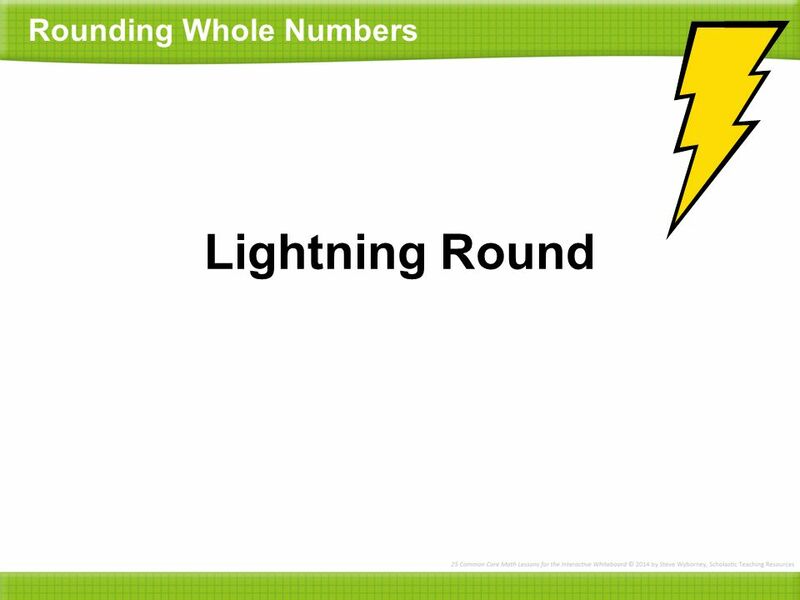 Download ppt "Rounding Whole Numbers"
How risky is life? Lesson 3. Last lesson we saw that 10,000 deaths were from unexpected causes We also estimated that 500,000 people die a year. What. Midterm Review Part II Midterm Review Part II 40. PARTIAL SUMS ADDITION THINK HOW MANY PARTS?? (The largest number has 3 digits so there will be 3 parts.) WORK LEFT TO RIGHT…ADD THE COLUMNS. úkol = A 77 B 72 C 67 D = A 77 B 72 C 67 D 79. What is the distance from Fujairah to Dubai in kilometers?  The distance from Dubai to Fujairah is 127 kilometers. he distance from Dubai to Fujairah.